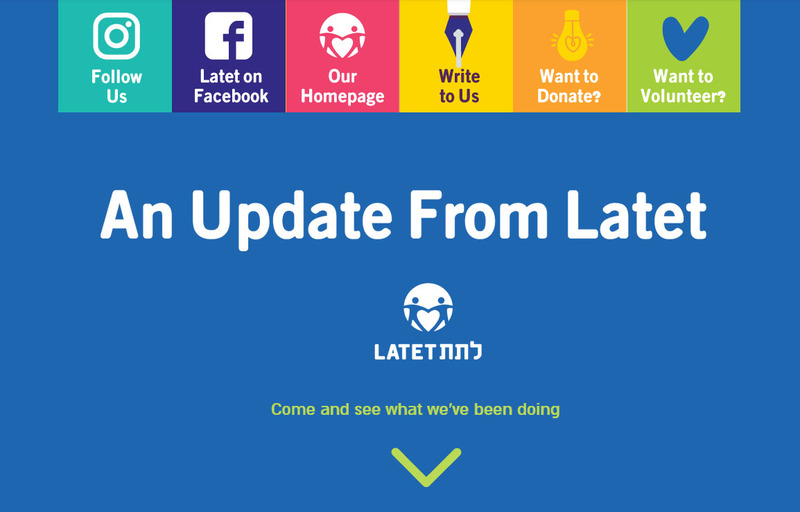 Latet is one of the leading nonprofit organizations that support Israel – and by supporting Israel, we mean all sectors of Israeli society: children and families, youth and Holocaust survivors. If you are looking for a worthwhile charity that will support Israel in a meaningful way, you have found the right place! In Israel, 18.2% of the population (25.5% of the children) lives in food insecurity. Sadly, this terrible issue often goes undiscussed. While it should be the government’s responsibility, the role of providing assistance to people in need in Israel mainly falls on nonprofits in Israel. Latet created the Nutritional Security Initiative, to ensure that families and children in need have their basic needs addressed, thus supporting Israel and making sure people from all walks of life receive help. Acting as an umbrella organization for 180 local NGOs across 105 communities, Latet is the leading national food bank in Israel. Latet rescues and distributes food on an ongoing basis to these local associations, who in turn redistribute it to people in need. As a result, 60,000 families (around 200,000 individuals) receive assistance from Latet every month. Every year, Latet rescues and distributes between $25-$30 million worth of food. By supporting Latet, you support Israel in making sure its impoverished populations receive their basic nutritional needs. Since 1 in 4 Holocaust survivors in Israel live in poverty, you also have the opportunity to support Israel by directly supporting Holocaust survivors, making sure they live their last days with the dignity they deserve. Latet’s Aid for Life program is the only program in Israel providing Holocaust survivors with a holistic aid package tailored to their need. Every month, more than 1,000 survivors receive a food box from Latet. The aid package also includes social support, as one of the biggest issues for the elderly is the loneliness. Every survivor is partnered with an individual volunteer who visits him or her on a weekly basis. Our holistic Aid for Life program also includes an Emergency Fund for medical and paramedical needs (like dental care and eyeglasses) and home restorations when needed (at no cost for the survivors), which improve the survivors' quality of life and personal security. Show support for Israel by helping the people who helped build this country! Learn nore about our programs! 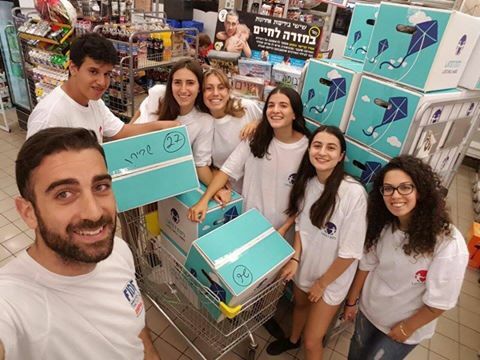 Your support for Israel can also be used to help connect Israeli youth with the values of community service and giving. 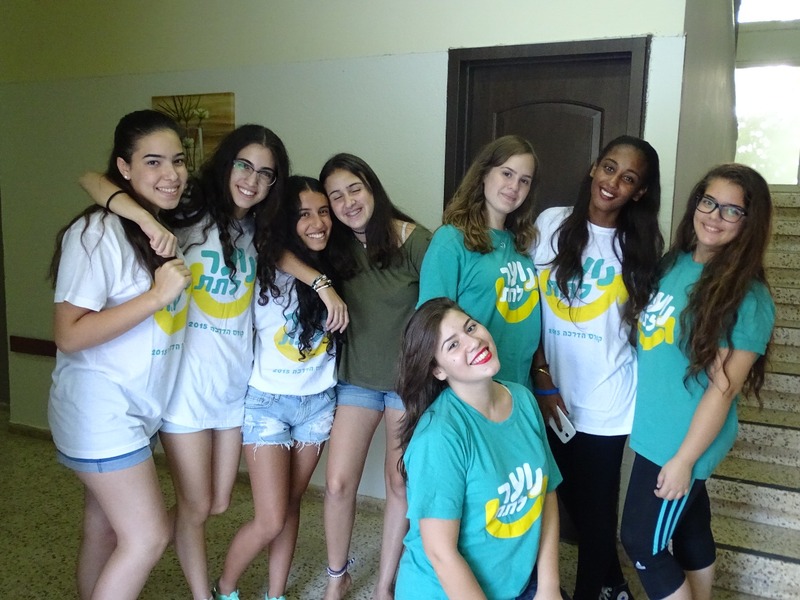 The Latet Youth organization teaches the young Israelis about how rewarding it can be to support Israel by being caring citizens guided by values of volunteering and mutual responsibility. Latet Youth is a place where young people develop their leadership and entrepreneurial skills by carrying out social micro-initiatives to help their own communities. The youth organization operates nation-wide and brings together participants from all backgrounds, including at-risk youth. Supporting Latet Youth is also a great way to show support for Israel by ensuring the next generation will be socially conscious citizens. Latet believes civil society is an inherent part of the solution for reducing poverty, and over the years we have succeeded in creating a force of tens of thousands of volunteers who take part in Latet’s activities and projects. By joining Latet’s forces, the volunteers deliver a message of positivity and become ambassadors of the organization’s actions. People from all ages volunteer by packing food boxes for people in need in our logistic centers across the country. 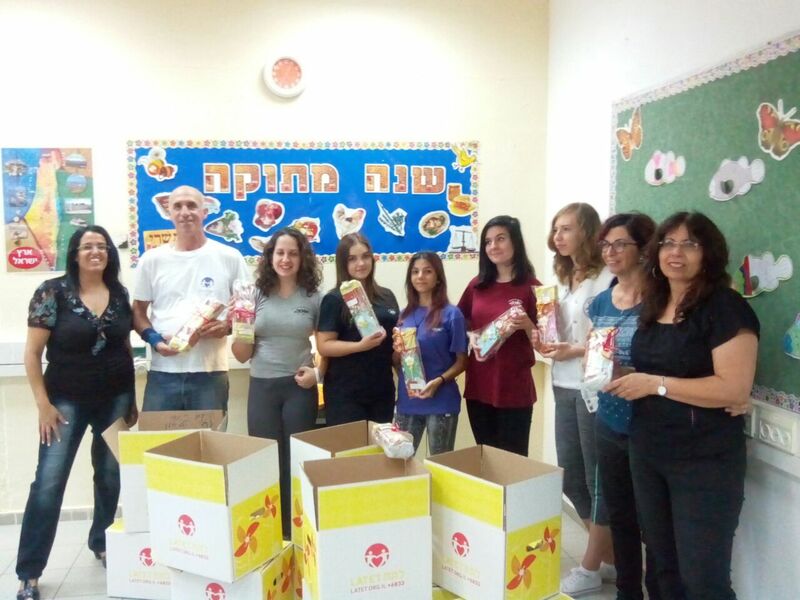 Even people from abroad who wish to show support for Israel can donate money or volunteer by packing food boxes during their visits to Israel. This is a unique bonding experience for groups that also teaches about social issues in Israel. Another way to volunteer and actively demonstrate support for Israel is by volunteering with Holocaust survivors, providing them with social support. If you wish to support Israel in a fulfilling way and have an unforgettable experience, choose to volunteer with Latet. Thanks to the Jewish Community Foundation for their support and trust in our battle to end poverty. The annual event in recognition of LATET volunteers was held on 31.5.15 at the Barby, Tel Aviv. 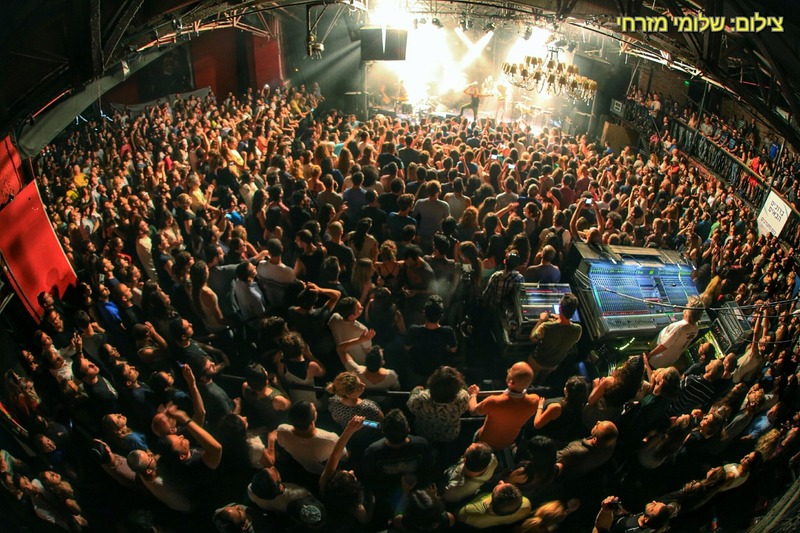 There are many social issues in Israel, plaguing Israeli society, and social entrepreneurship in Israel may be the answer we’ve been looking for. 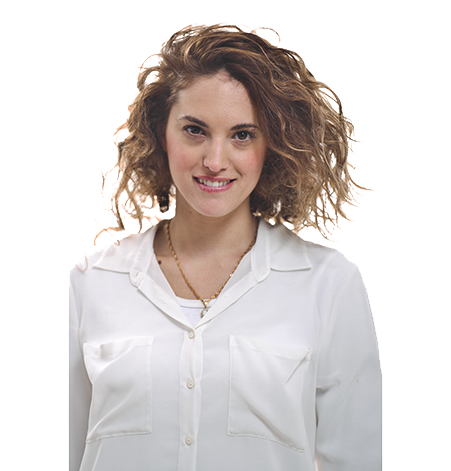 Make your volunteering experience in Israel impactful! Are you looking to donate to Israel? Have you heard of Latet, the country's largest charitable organization? Children from Hod HaSharon organized a bake sale for Latet right before the holidays! Tune in to Channel 2 and watch Israel's top singers and performers engage in a lip-sync battle to raise funds for Latet!